Big Brother Gossip Show #902: Bad Robot? The Big Brother season doesn't truly begin until the live feeds kick in. This week's show primarily talks about the 36 or so hours since the feeds were turned on. Although it's always a big confusing at first, it didn't take long to be able to recognize this is one zany cast. We have Swaggy, or as Scott likes to call him, Soggy, and his supposed knowledge of everything. There's also the Bro Twins who are so cool that they've transformed the high five into the high elbow. Don't forget the silliness of Kaitlyn, whose aura isn't nearly as positive as she believes. There's also the real question of the true personality of Sam. Is she the bright eyed, bushy-tailed Southern belle the CBS episodes made us believe, or is she a whiny, crying little brat? We go through all of these topics, along with a Fear Factor-ish POV that seems to be unlike anything that's ever happened before. There's also the "app store" power. Who has it? What does it mean? We thank you guys so much for listening to this first show of the season, and it also helps us out a lot if you do some simple little things like retweet this post, or any post about the Big Brother Gossip Show. Or if you're a member of our Facebook group, hit that little share button. You can find this show at all of the various podcast sites, or click here for a direct download! And if you really love what we do, please consider contributing to our Patreon. We offer all kinds of rewards, including access to Scott and Colette's Day Drinking show. You can even be an executive producer of this lovely little program. Thanks everybody for listening tonight! When CBS posts six-minute interviews with each of the houseguests, the Big Brother season is officially underway for me. I enjoy watching each interview and posting a few thoughts about each of the cast. Hi, friends! 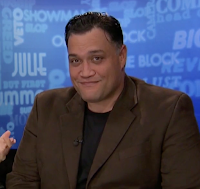 It’s John, aka @UselessTraffic, occasional contributor and creator of the Big Brother Gossip Ticker graphic, which is coming soon for #BB20 to keep you up to date on game happenings via Twitter. It’s time to get geared up for another summer of Big Brother. 1. 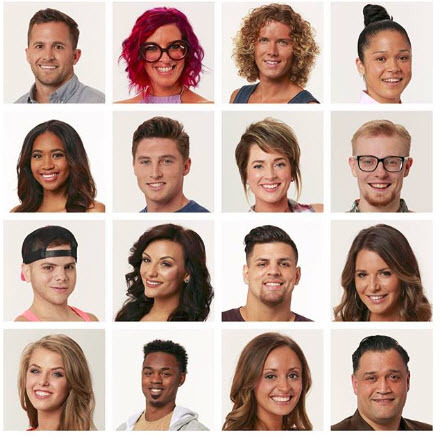 A cast made up of 100% newbies — no veterans from previous seasons and no relatives of previous houseguests. 2. Awareness of how the Big Brother USA game works, at least from some of them. 3. If any of them profess to be superfans, okay, fine … but show some awareness that previous so-called superfans overplayed their games and got evicted. 5. If CBS asks if they prefer to be loved by America but lose the game … or hated by America but win the game, I will automatically dislike any houseguest who answers “I want to be loved.” Because WTF are you there?! I'm watching them simply in the order the videos appear in the CBS app on my Apple TV, and the first #BB20 houseguest interview to watch is Rachel Swindler. Here we go! Rachel Swindler, 29, is a performer in Vegas, which suggests she’s one of the people who is there not so much for the game as to seek stardom. 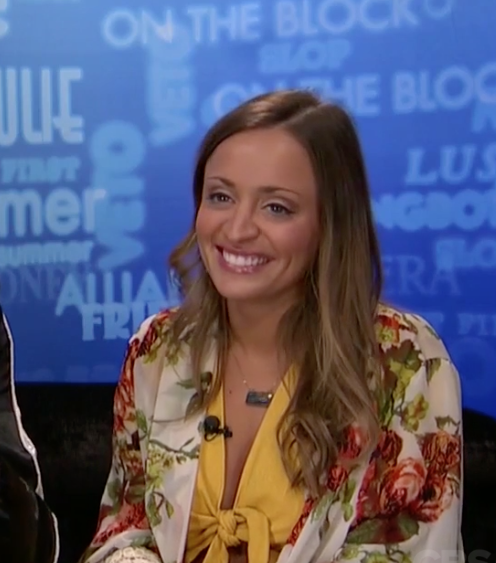 On the other hand, Rachel says she’s been a fan since #BB1 and that she knows the key to winning is jury management, establishing good relationships with the whole house. She once worked at a theme park, sharing one bathroom with 12 people. That actually sounds like good practice for #BB20. 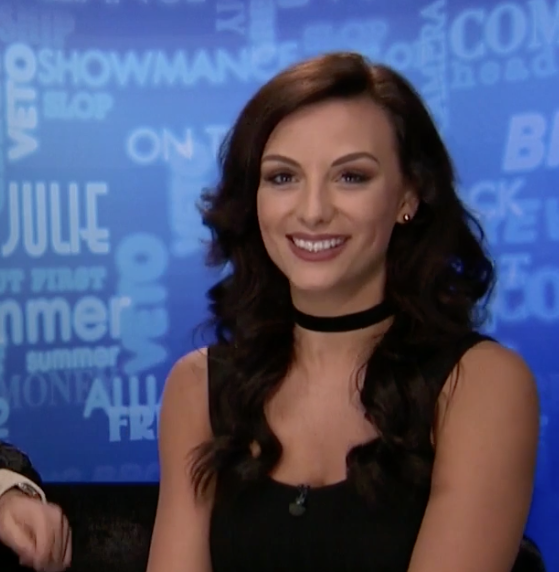 Rachel says “I would like to have a showmance” but it would “throw a kink” into jury management. She doesn’t want to get so invested in a relationship for the duo to be seen as a threat by other HGs (houseguests) or for a relationship to get in way of her game. Rachel said the right words, but can she pull it off? By the way, Ross Mathews, runner up of the first U.S. edition of Celebrity Big Brother, is the one who did the CBS interviews of the #BB20 cast. They made him ask the “would you rather be hated but win, or be loved but lose” question. Rachel said she’d rather lose — which totally invalidates her interview for me. Any houseguest who answers that way is a waste of space. Obviously she just seeks stardom. Kaitlyn says that using her intuitiveness and aura-reading-skills will “100%” be her game strategy because nobody else has done it yet. Oh, gawd. 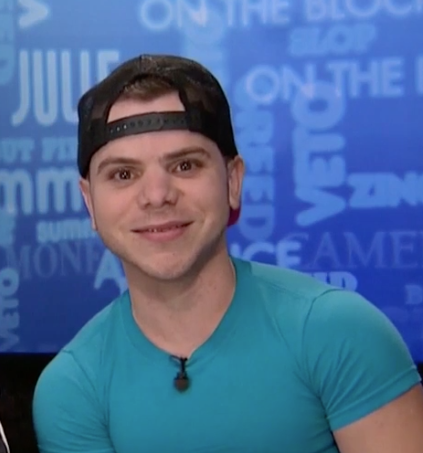 “Not everyone’s as self-assured or believes in themselves as much as I might.” I predict is in for a rude awakening in the #BB20 house. To the “choose between losing and being loved or winning and being hated,” Kaitlyn says she’d prefer to win. 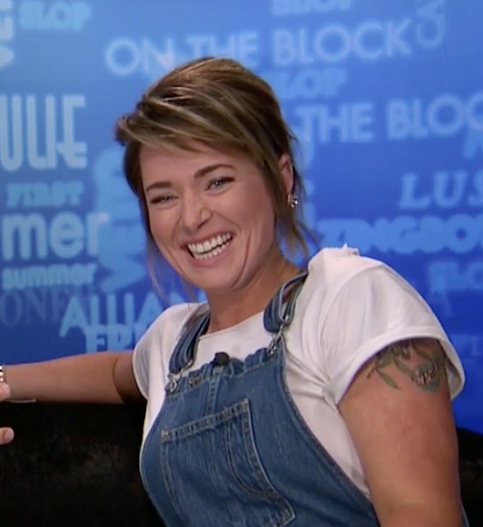 “I’m not going in this for any other reason except to win.” It’s the only correct answer … but after all the “I read auras” stuff, it’s surprising Kaitlyn said this. “In 2018, if someone could win” without backstabbing, then we “win as a country.” There you go. Kaitlyn For ’Merica, people! Sounds nice, but good luck with that strategy, dear. Next up: Chris “Swaggy C” Williams. Do we really have to call him “Swaggy C”? He’s wearing a shirt with his own name and he implies that CBS recruited him. Chris “Swaggy C” plans to win the first HOH, then sit back and watch in-fighting happen in the following few weeks. He says his photographic memory will help in comps. Chris “Swaggy C” says “showmances do not work.” YES. He speaks truth! “My mindset is to be in alliances, not to get a girl and be in a showmance.” Of the interviews I’ve seen so far, this is the first houseguest who doesn’t annoy me. Or not. 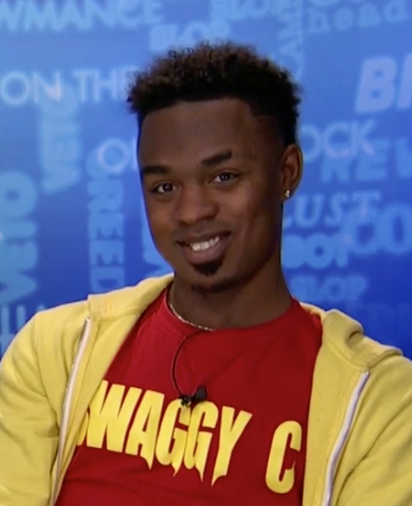 Chris “Swaggy C” chooses to “lose but America loves me” because maybe he’ll lose and come back for another season. He just went from me liking him as a houseguest to my not caring that he’s there. 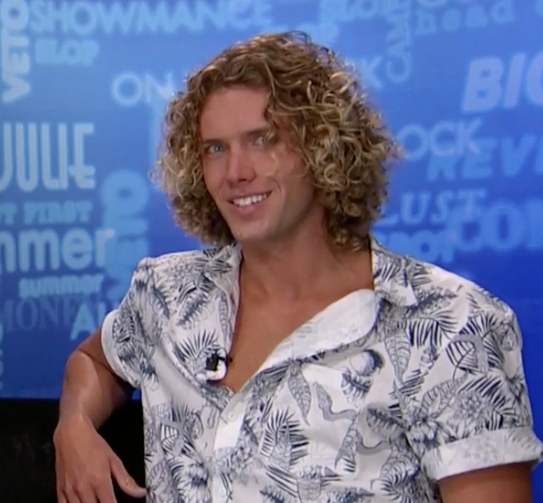 Scottie Salton, 26, is the next #BB20 interview. He’s “super excited but not nervous.” Claims to be a “big big fan” since #BB7. Scottie says he needs to be perceived as honest but not necessarily be honest. 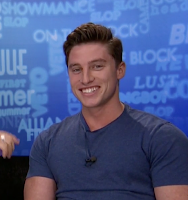 He wants to win HOH in one of the first couple weeks. He does not “have the showmance vibe. I’m the dud guy.” If he gets along with people but is not seen as a threat, I think he could go far. Scottie reminds me of #BB17 Steve, who won his season. 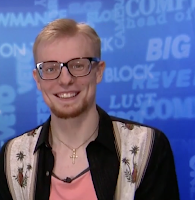 If Scottie can float along, be seen by others as not a threat and not a burden, be likable but not adored, never be worthy of being targeted for eviction, I think he could pull a Steve and get to the end. Kaycee Clark, 30, says her social skills will help her win #BB20. “Super-cocky, controlling” kinds of people get under her skin. She says she’ll speak up when she or her friends are disrespected, but not angrily. I kind of expect to see Kaycee losing it and getting in shouting arguments. Kaycee isn’t opposed to a showmance. Ross, as interviewer, says “Showmances worry me. You have to have your eye on the prize.” I totally agree but why is Ross, not the houseguest, saying that. 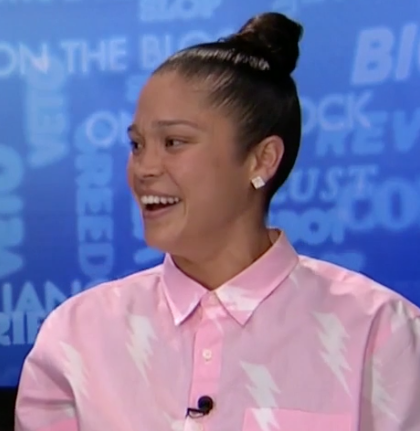 Kaycee wants to “win and have people hate me” rather than lose and be loved. That’s the correct answer. “It’s Big Brother. If there need to be white lies, fine” but not slice people up. Steve is going to hide his background of being a retired detective and a university professor. His cover story to other houseguests will be that he’s a mechanic. I think that’s smart. Steve gave the only correct answer about winning versus losing: “I’m going home with the money.” This guy is real and I’ll root for him. I hope he’s able to compete. “Old guys” too often go home early. Sam Bledsoe, 27, a full-time welder, was previously a hairdresser and she speaks with a southern accent. 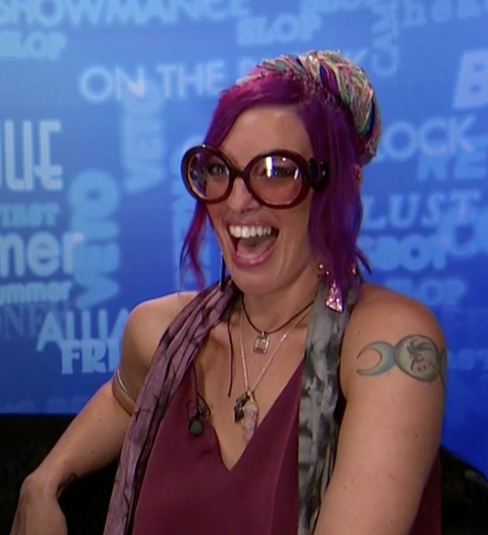 Her casting is another @CBSBigBrother prerequisite. Sam says she’s a good judge of character and always sees the good in people. “In the real world, that’s a good thing. But here, I’ll have to shut that off.” Sam claims she can be ruthless. “I’m an altruistic, magnanimous type of person—“ “—who knows large words,” says Ross. Sam says she can’t tolerate bullies. About bullies, Sam says she’s going to “quietly and intelligently tear that [bleep] apart” … and CBS actually bleeped her. Win & hated or lose & loved? Sam gives a half answer: “It’s a case-by-case basis. They hate me for what?” She’s willing to win and be hated (I’m paraphrasing her answer) if it was for game moves against other houseguests. Ummm, okay? Winston Hines, 28, said “I wouldn’t have signed up if I couldn’t go all the way.” He’s a fan but says he’ll try to stay in the shadows and float under the radar, letting others blow up in first couple weeks. That’s the right strategy, especially for HGs who are fans of the show. “I came on to win Big Brother. I’m not here to make more friends. I’m here to play the game.” He knows other people are there only to get more Twitter followers. Good answer. That’s the first eight. So far, I think Steve, Winston and Scottie have the right ideas, and maybe Kaycee. But the others … no. Tyler Crispen, 23, is a far-out surfer dude type who claims to be a superfan. I’m already annoyed by his speaking style. Showmance? “If I want to win, no. But anything could happen, I guess.” Is he gonna be this wishy-washy all season? “Win, any day. With zero hesitation. People will respect you if you win.” His first good answer. “It takes me kind of a while to catch on to certain things, like directions. On the fly stuff, I’m not good at.” He says he’s not confrontational. If Tyler isn't gone in the first eviction, I think he’s gonna be manipulated by any HG with a gentle-but-lethal persona — in other words, he won’t even know he’s being controlled. Haleigh Broucher, 21, wants to model #BB16 Derrick’s game style. A good social game is key, she says. She’s gonna lay low first couple weeks, let loud people and super-hard-super-fast players do their thing. Actually it’s a good plan. Regarding a showmance, Haleigh says, “I’m here to play the game, but we’re here all summer … if something happens, I’ll try not to let it affect my game.” I don’t think she has enough life experience to mimic Derrick’s strategy successfully. Haleigh wants a third option to the “lose and be loved or win and be hated” question … then chooses lose and be loved. Bzzzzt! In her interview, she said smart and stupid things in equal quantities. Faysal Shafaat, 26, whose first name is pronounced “FEH-see.” To win, it takes versatility, he says. Gotta win comps, be social, strategize, form alliances. He says he can relate to people with different personality types. But he says a weakness is being too emotional. 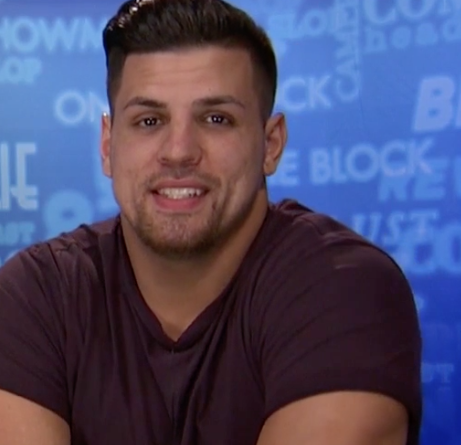 Faysal says he wants to win the game, and it sounds like he isn’t too worried about being hated. He kind of evaded the stupid “lose and be loved or win and be hated” question a bit, but it was better than saying he’d willingly lose. Faysal seems not too excitable, not at all nervous — but for live feed viewers, he might be dull to watch. Actually, though, his middle-of-the-road temperament reminds me of #BB16 Derrick far more than Haleigh. JC Monduix, 28, is not a tall man (4 foot 8 inches) but he looks like he works out. It’ll be interesting to see how well someone who is short but possibly very strong does in physical comps. JC speaks with a mildly thick accent. Based on that, other houseguests might possibly find him either endearing or annoying — I’m not sure if there will be a middle ground on how they feel. JC plans to play quietly, under the radar, at least for the first few weeks. JC got nervous talking about game strategy in Ross’ interview. I think he’ll have to play quietly or his nerves may undo his game chances. Angie “Rockstar” Lantry, 34, has purple hair, huge glasses like Elton John in the mid-1970s, and a demeanor that annoys me after only 20 seconds. I hope to gawd that she doesn’t make everyone call her “Rockstar.” Angie is the only one of the interviews (at least of those I’ve seen so far) who confirms that she applied to be on the cast; she wasn’t recruited. But she didn’t watch earlier seasons until after a casting agent first called her. In explaining how to play the game, Angie is … well, incomprehensible. She either understands game strategy perfectly but can’t articulate it, or she’s just saying random words. Angie claims that having given natural birth three times has prepared her for endurance comps. Uhhh … okay? I’ll obviously have to take her word for it. “Some of America’s gonna drag you no matter what. Ultimately, I’m in it to win.” Angie’s answer to that question wasn’t bad. But she’s … different. It ’ll be curious to see how her social game plays out. I’m not convinced she has what it takes. Brett Robinson, 25, is a cybersecurity engineer and he said it has prepared him to do social engineering, strategically plan events, assess vulnerability, and cover his tracks. The parallels between his career field and the Big Brother game hadn’t occurred to me. Brett wants to fly under the radar and tone down his personality to not be in the front of everyone’s minds when voting happens. Again, good strategy if he can pull it off. Brett lost me at the end. “Lose and be loved or win and be hated?” He answered: “Lose and be loved, come in second, and come back next year to win.” FAIL. Angela says, “I do not want to do a showmance. It’s so dangerous. I’m not willing to put my game in another guy’s hands” … and she’s 100% right. But she’s young and attractive, and I wonder if she’ll ignore her own advice. “I’ll be one of the last two standing. I can guarantee that,” she says, obviously super-confident. Don’t yet know about Angela reaching the finale, but I’m guessing she’ll do well. Bayleigh Dayton, 25, on showmances: “It’s a terrible name for them, but I’m not gonna say that I’m not or that I am.” Confused viewer say what? “I’m very sassy; gotta leave that in the DR. I wanna be good, but not good enough to have a target on my back. 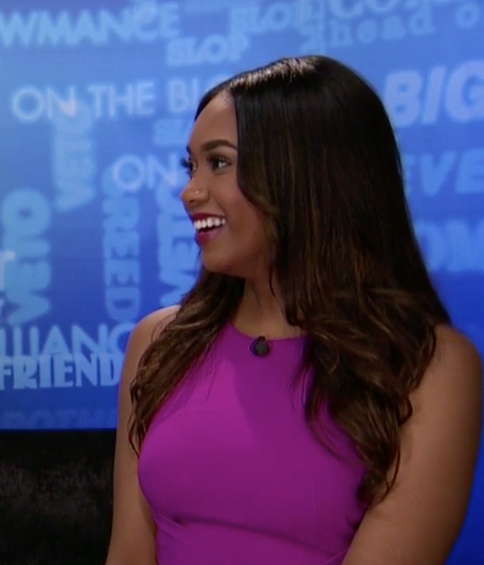 I don’t want to be a floater, but I want to lay low.” Bayleigh talks it, but can she walk it? “I went to all-girls private Catholic school and am youngest of all girls. I literally don’t know how to handle boys. I’ll, more, maybe just misread them? I don’t know what they want from me. I hope I won’t misinterpret any of them.” She’s actually kinda funny. But if she’s really that clueless, they might manipulate her to the detriment of her game. Bayleigh says she’ll vent in the DR but not at other houseguests. I wonder if that’ll hold true if she finds she’s been manipulated. Ross didn’t ask Bayleigh the “do you prefer to lose and be loved or win and be hated” question. Of the second eight interviews I watched, I was really impressed only by Angela. So, of all 16, and in no particular order, I think Steve, Winston, Scottie, Angela and Kaycee said enough of the right things to capture my initial attention and not annoy me with ridiculous answers and/or mannerisms. But the Big Brother game sometimes has a way of pushing smart, watchable people aside and propelling idiotic, highly undeserving houseguests to the end of the game and even the win (cough … #BB19 Josh … cough), so we’ll see what happens. Welcome to Big Brother 20! For an in-depth conversation about the #BB20 cast, don’t miss the Big Brother Gossip Show! Scott, Mike and Colette spent more than two hours talking about this cast in the podcast’s season premiere episode on Saturday, June 23, 2018. Find it in all the usual podcast places and at bigbrotherpodcast.com. What are your impressions of the new houseguests? I’m very pleased that they’re all newbies — no veterans, and I hope the producers don’t inflict any experienced players on us during the two-hour season premiere on CBS on Wednesday, June 27. Share your thoughts here or on Twitter @uselesstraffic. Here we go once again. The Big Brother season is once again upon us, and we have 16 characters to engulf us this summer. Will they be fun for live feed viewing? Will they create some great drama? Will there be scintillating game play? Tonight's season premiere goes through each of the 16 new cast members. From minion lover JC to Vegas strip worker Rachel. From cyber security master Brett to former cop Steve. There's a couple of sage lover, and a pro football player. This looks to be an extremely eclectic group of folks! Big Brother Gossip Show Returns on Saturday! We're exactly one week away from the season premiere of Big Brother 20 on CBS, and earlier this week we got to meet this year's fresh meat. Strangely, instead of a bunch of minions like last season's Paul disciples, we actually have a pint-sized minion lover in the cast! You'll hear all the details regarding that little tidbit this Saturday night when the Big Brother Gossip Show returns! Scott, Colette, and Mike have spent the last few days combing through the various videos and text interviews. Who are we picking to create great drama? Who will we be praying to be an early evictee? Who will Scott enjoy sunning in the backyard? Will Mike remember any of their names? Find out all of this and more Saturday night at 9 pm ET on mixlr, or wait a little bit later for the podcast on iTunes, Stitcher, and any of your other favorite podcast sites. If you can, please help us out a little bit by donating on our Patreon page, as it really helps us put together the best show we can. As before, we offer a number of rewards, including exclusive access to episodes of Day Drinking With Scott & Colette. Hi all, here we go again! Big Brother 20 is almost upon us. Tonight's post will simply provide you the basic facts as I know them - more details once they are known. 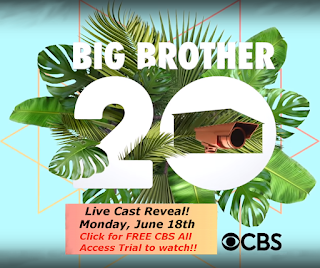 Big Brother premieres on Wednesday, June 27th and Thursday, June 28th - another 2 night premiere as they have been doing recently. Once again the show will air on Sundays, Wednesdays and Thursdays. The Cast will be revealed on Monday June 18th LIVE via CBS All Access. Rumor: While we had been told via an interview with Executive Producer Allison Grodner this would be an all-new cast, there is a rumor circulating that the cast may be mostly new HGs but will be joined by some alum. The Live Feeds should kick off LATE Thursday (early Friday morning in the East). 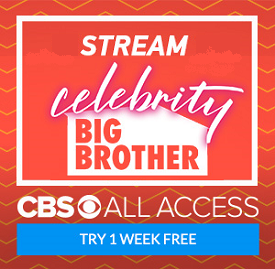 The feeds WILL NOT be available in Canada as we had hoped - the deal to bring CBS All Access to Canada excludes the live feeds. Sorry Canada! The Big Brother Gossip Show WILL RETURN. As of now I assume it will be on Saturdays again and we will likely have a Preview show the weekend before the show starts. Thats it for now! Remember to support your favorite websites & twitter accounts and sign up for the live feeds via the links they provide. Links for Big Brother Gossip are all over the site or you can follow this text link for a 1 week free trial!